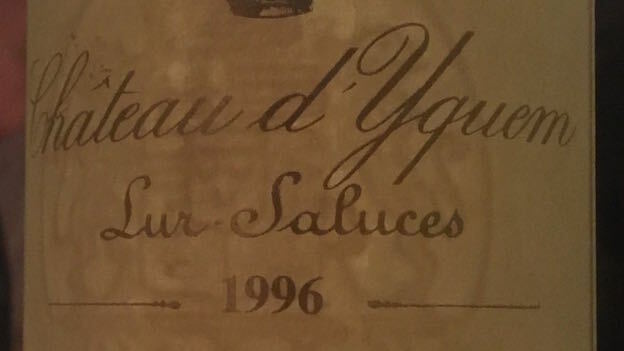 Although it is not the most famous recent vintage of Château d’Yquem (2001 and 2009 vie for that honor), I have always loved the 1996 and frankly never tire of drinking it. In 1996, the Château staff performed five passes (tries) in the vineyard and noble rot was plentiful. The 1996 is not a famously rich or unctuous Yquem, but rather suave, elegantly creamy and also readier to drink than most Yquem’s I can recall. Layers of delicate floral, honeyed flavors, apricot, pineapple, orange peel, sweet spices, orange oil and vanilla, are all complicated by subtle marmelady botrytis. Drinking well from day one, this very pretty Sauternes is not especially sweet (roughly 122 g/l residual sugar) and yet it seems softer than most recent young Yquems. It should age gracefully for several decades. 95/Drinking Window: 2016-2036.